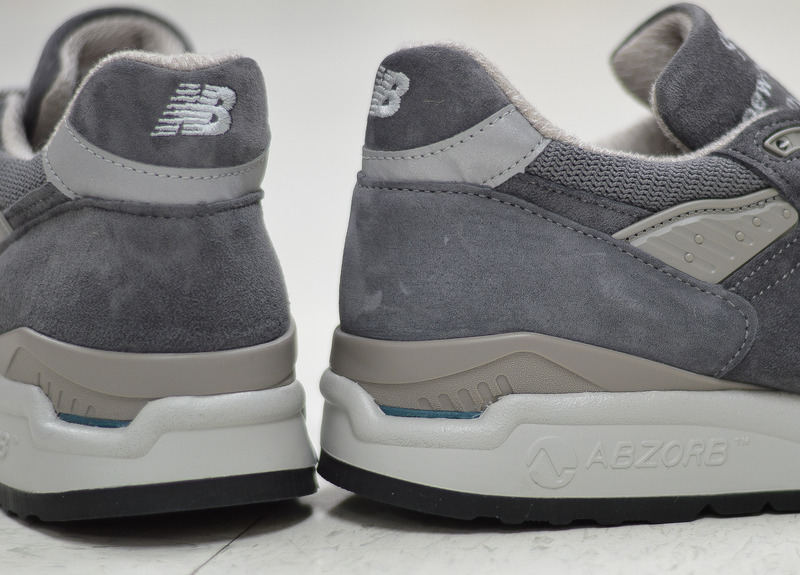 Well, I wasn’t really planning on picking this pair up, but after initially visiting Hanon Shop to vent my anger with regards to the pre-buy status of the New Balance 997GY, I didn’t want to leave empty handed. 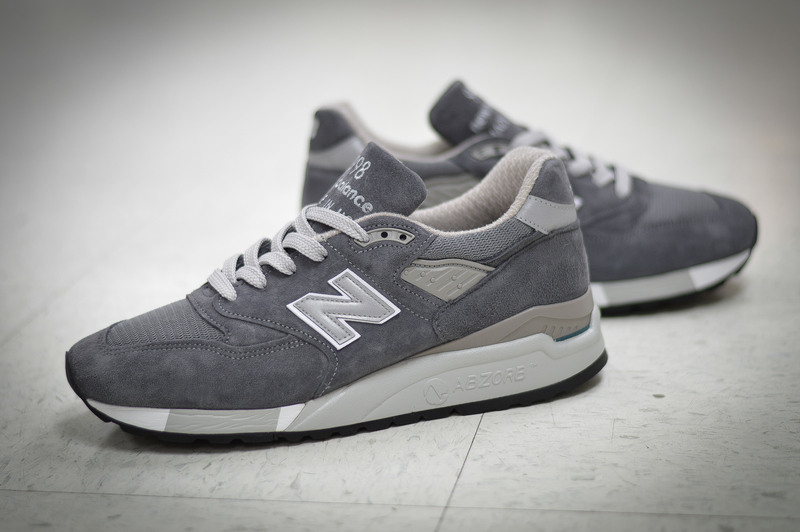 So, an obligatory “I’ll just try these on” turned into me having no doubt in my mind that these would tide me over until some time in February when the 997’s drop. 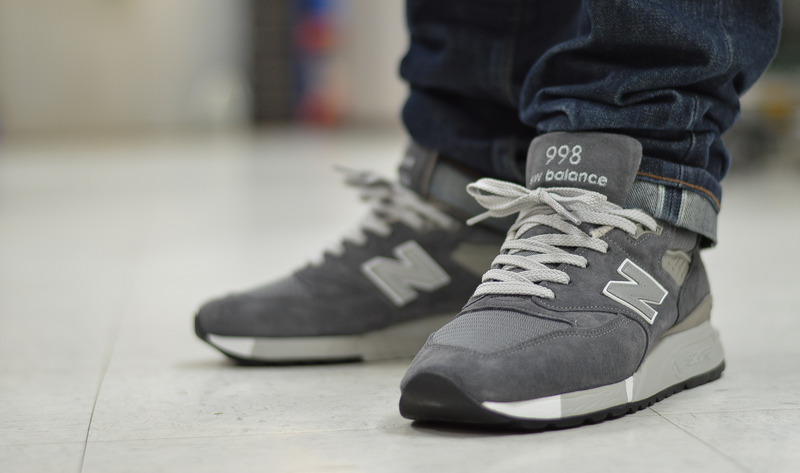 Since we first saw the catalogue and sample images a good few months back, there’s been a great deal of anticipation for two pairs of New Balance 998’s in particular, the pair featured here – 998CH, and a second pair, 998LL. The interest that developed for these two pairs is mainly down to the simple but effective colourways, and also the fact that the Made in USA product rarely lets anyone down when it comes to build quality, materials, colourways, comfort and shape, however, they do hold a pricey RRP for those buying out with the US – £155 in the UK. 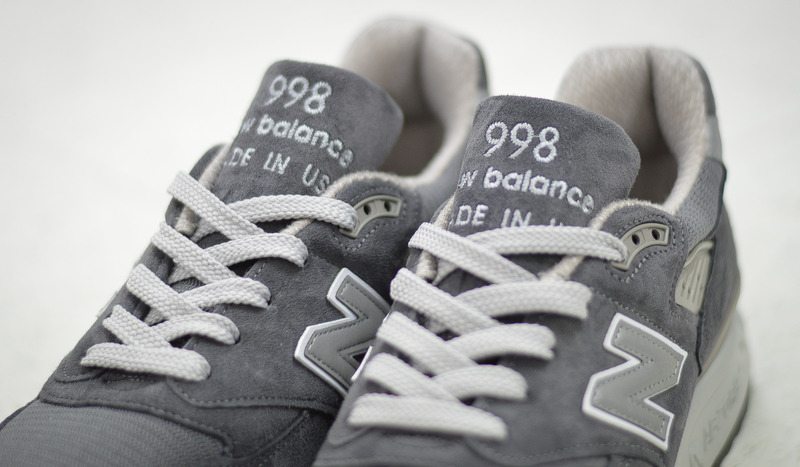 The 998 is a classic archive New Balance running shoe, and this particular pair as already mentioned, was made in the USA for Spring/Summer 2014. 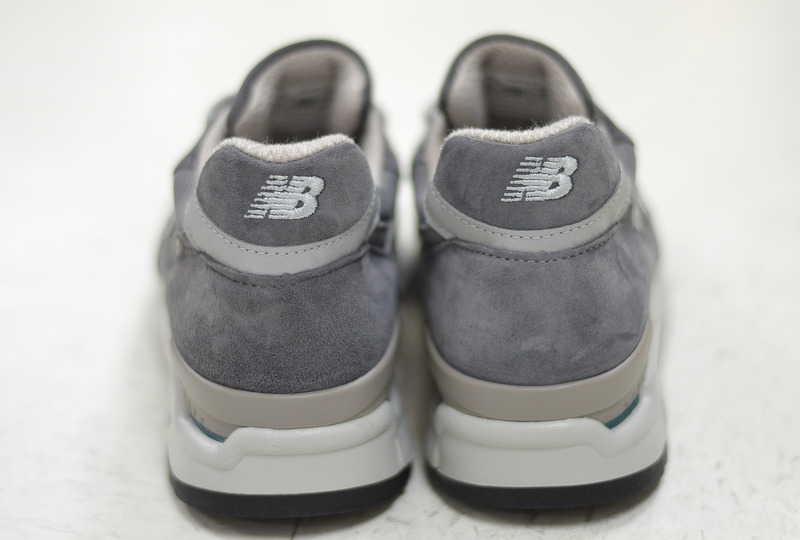 This pair features a premium tonal upper of lush pigskin suede and mesh underlays, finished off with a two piece premium leather ‘N’ with white backer, and the trademark EVA ‘Abzorb’ sole unit, which makes for excellent comfort. 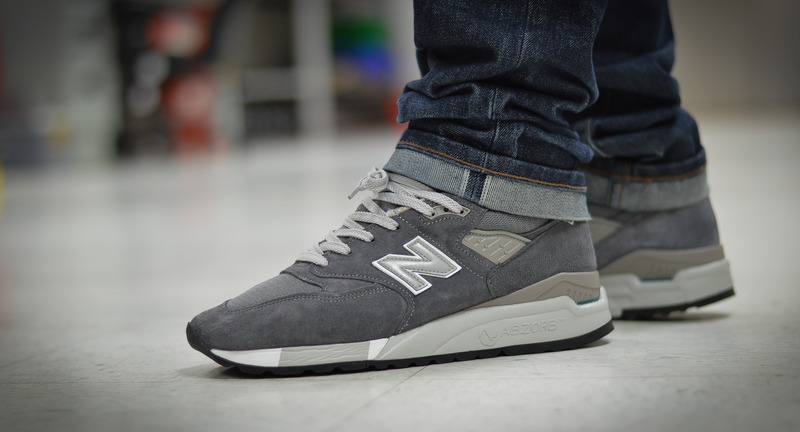 When it comes to grey suede and mesh, no-one really does it better than New Balance, and there are already a few similar style 998’s out there, however, the 998CH definitely warrants a place in amongst them. 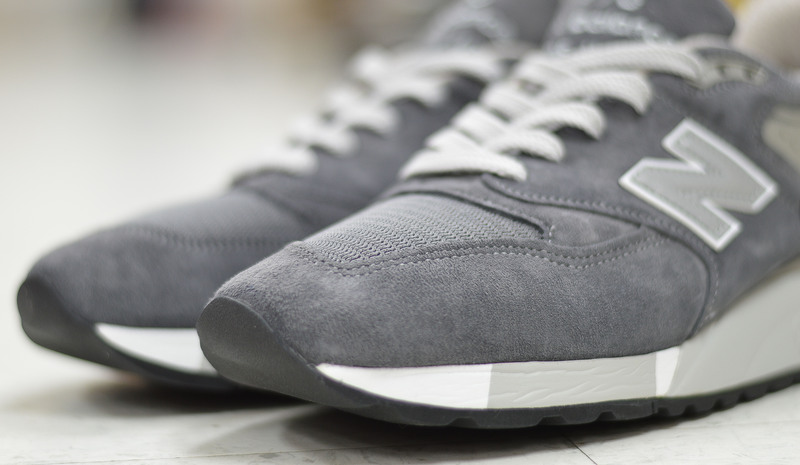 This pair is available to buy at Hanon Shop now, and will also be available at the usual UK stockists this month.